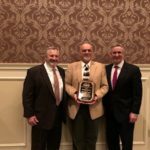 Kenneth Martin of Furmano Foods received the 2018 PVGA Annual Award at the Fruit and Vegetable Growers Banquet at the Mid-Atlantic Fruit and Vegetable Convention in Hershey on January 30. 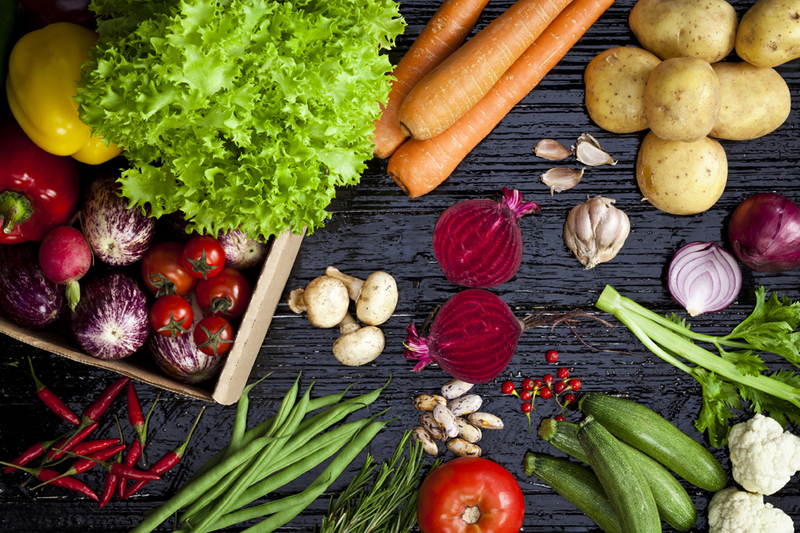 PVGA Annual Award is given each year to someone who has built an outstanding record of service and dedication to the Association and/or the vegetable, potato or berry industry in Pennsylvania. PVGA President, David Miler, made the presentation. Martin grew up in Blue Ball and attended Garden Spot High School. On his 16th birthday his family moved to Union County where he worked on this father’s farm where they grew some vegetables as well as operating a greenhouse for flowers and vegetable plants. After farming several years, he began working at Zimmerman’s Irrigation and while there was instrumental in the establishment of the Buffalo Valley Produce Auction in Mifflinburg where he served as manager for several years. In 1989, Ken started working in the field department for Furman Foods in Northumberland, contracting with local growers to produce processing tomatoes. Over the years he has traveled thousands and thousands of miles visiting growers not only in Pennsylvania but also New Jersey and Maryland throughout the growing season helping them work through the various challenges they face each year with varieties, diseases, insects and harvest schedules. He currently is the Director of Ag Operations for Furmano Foods, as the company is now known. In 2002 Martin was elected to the PVGA Board of Directors and from 2008 to 2009 served as president of the Association. Early on he took a keen interest in developing the tomato educational program for the Convention and has served as the program chair for those sessions for many years. One of Ken’s frequent questions at Board meetings for a season was “Who’s driving the bus?” to emphasize the need for someone to take the initiative in putting a new idea into action. And to his credit he has been willing “drive the bus” on several key issues. Since the Association’s strategic planning project in 2014, he has served on the PVGA Capacity Development Committee that is working to prepare the Association to develop a greater staff capacity to better the growers of Pennsylvania. Martin says the guys at the local coffee shop call him the “Tomato King” – but don’t offer him a fresh tomato to eat! In reality he is very knowledgeable on processing tomato production after working with growers for nearly thirty years. He annually attends the national Tomato Disease Workshop to keep abreast the latest in disease control developments and also serves on the Northeast IPM Working Group. Outside of his professional career, Ken and his wife Dawn are the proud parents of a son and two daughters, one of whom is married and made them even prouder grandparents of a 2 ½ year-old. For this longstanding record of extraordinary leadership, service and dedication to the Association and to the tomato industry of Pennsylvania, the Pennsylvania Vegetable Growers Association is pleased to present its 2018 Annual Award to Ken Martin.